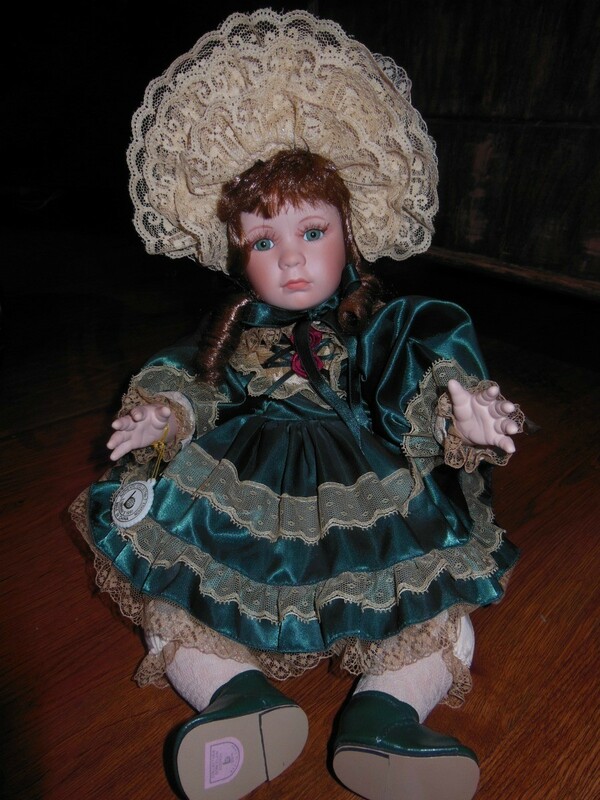 These popular dolls were mass produced in the 70s and 80s but few have retained much value. 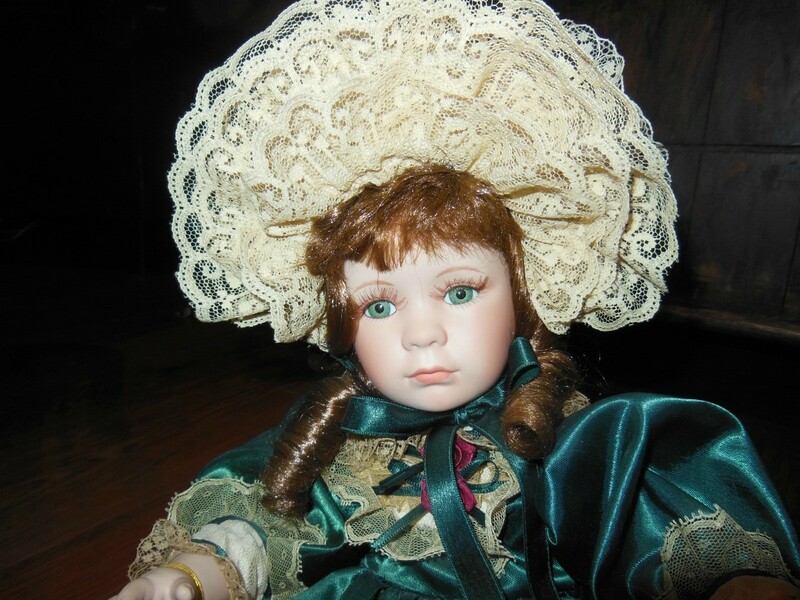 This is a guide about finding the value of Brinn porcelain dolls. I have Colorado Belle doll from Brinn's and was wondering if it's worth anything? I did not find your doll but as a general rule Brinn's dolls have very low value. Most dolls sell for under $25 dollars and most often they sell for less than $10. Dolls like this are so highly mass produced that no doll has any true value. eBay is the largest doll selling site but Etsy also has a lot of dolls for sale so these are the two sites to check when looking for dolls like yours. Here are eBay's currently listed similar dolls and the asking price which does not always mean very much as the sold prices are what people are willing to pay. These links show the actual selling prices from eBay (in recent months). I just received a Brinn Collectible Edition doll. The certificate of authenticity says it is from 1986. I have uploaded a picture of her. I would be grateful for any info you can give me. The most expensive one I saw on eBay was $20. I have a Brinn's porcelain nativity set that I purchased in the late seventies. How much is it worth? It is in perfect condition. This is not quite the best time of year to determine value. I say that because value in today's market is only what people will actually PAY for an item, vs. what a book says or people ask for it online. In a few weeks (Christmas in July), you may start seeing SOLD auctions...which is the only way to help you put a value on your set. I recommend doing regular searches for your exact set as a current auction and set up an eBay watch so you can see if it sells, how long it took and the price someone paid for it. That will give you an idea of current market value. I know there were a lot of these produced and they were very popular, so it also becomes a supply and demand issue if the supply exceeds the demand it drives the price down. The very best time to determine value will be October/November as people are starting to access their holiday decorating needs...but the July look can get you started. Hope this gets you a good start to figure out the value. My daughter was recently given a Brinn wedding doll named Aileen. I believe she was made in 1986, and want to know if anyone knows how much she is worth now. 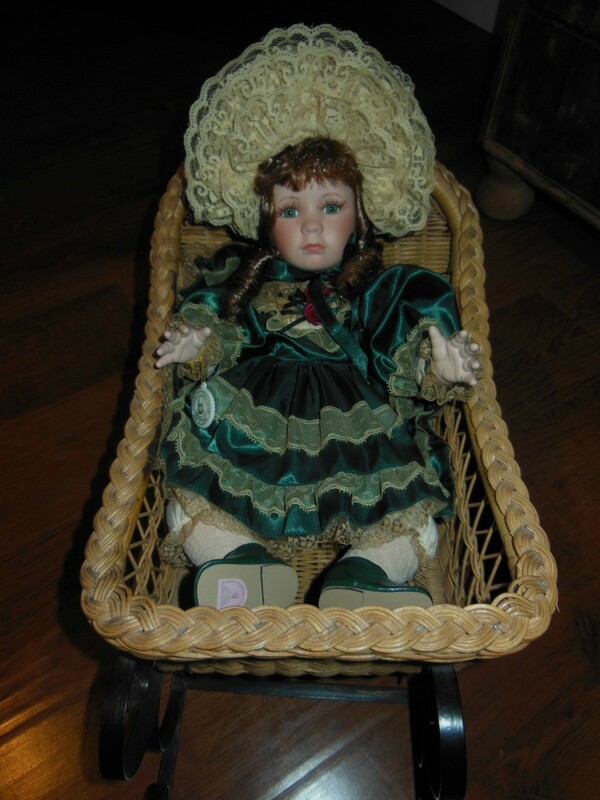 When I first retired in mid-85's, I got hooked on the doll collections sold on hsn.com. I bought several Brinn, Heritage, etc., and don't expect them to have become more valuable. So now I am taking these dolls, crocheting neat clothes for them, and hopefully for those doll lovers (not necessarily collectors) they may want to buy them from me. 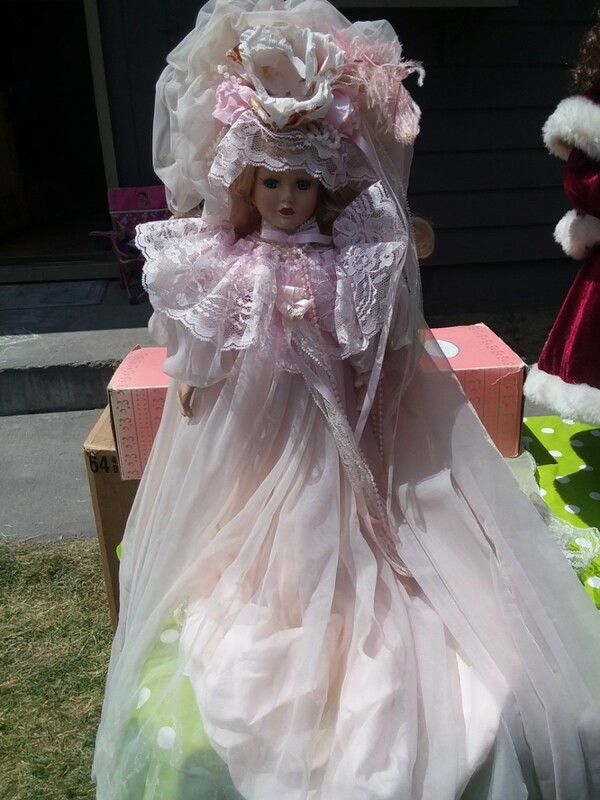 I am curious as to how much this porcelain doll is worth. It is a part of Brinn's 1991 authetic collectible edition. It is fully porcelain (minus the torso). And it is probably about 20 inches form head to toes. 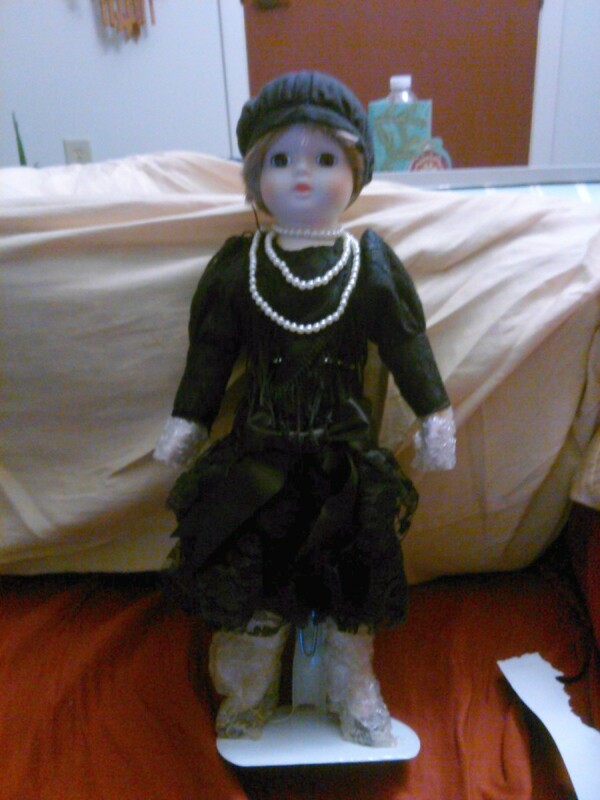 I have a 1989 #619 of 12,000, Adelaide doll. It is new in the box, in the wrapping and unopened. I am looking for present value.